Two weeks ago we decided to make another trip by car. 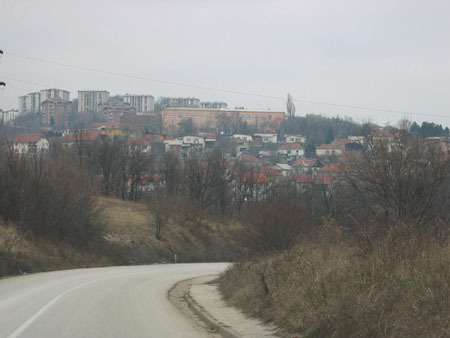 This time to the South East, somewhere between Belgrade and Nis and not too far away from the borders of both Bulgaria and Romania. 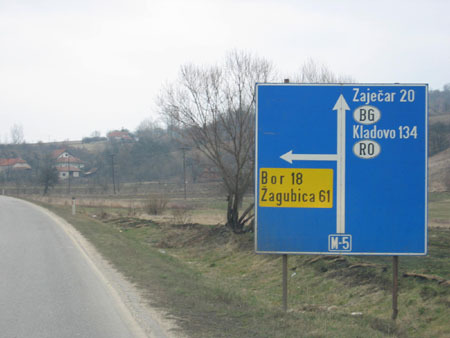 We picked the city Bor as our destination, not because we expected much in Bor but we need to aim for something. 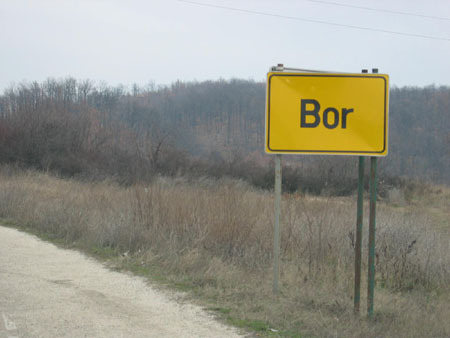 In short, do not visit Bor for it's beautiful architecture. 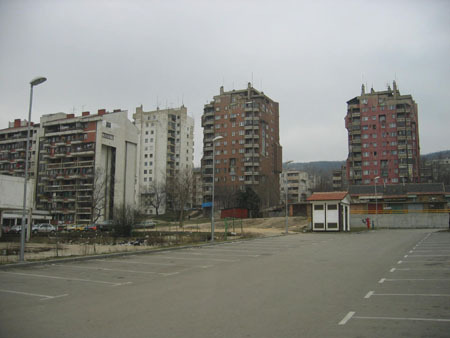 This city is a real industrial city and according to wikipedia it is quite there are copper mines just outside the city. We saw some damaged hills which do not improve the overal look. These are the Bor pictures. But there is at least something to tell. 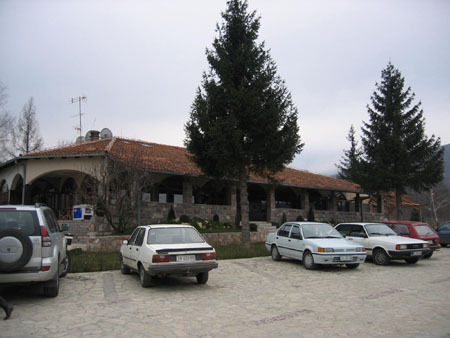 On our way to Bor we stopped at Motel Rtanj. They have a website and according to the brochure (proudly handed over to us) the nature around this Motel is worth a visit. We really do not know if this is true because it was too cold to walk. 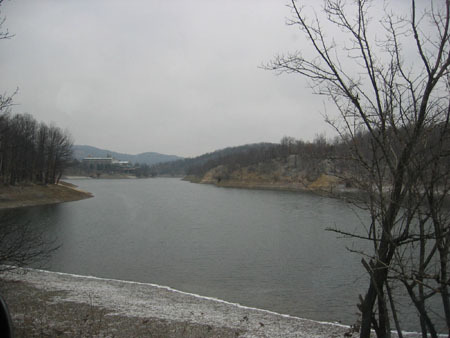 In Belgrade it was +6, over there -4 and on top of the hills -8 with an amazing strong wind. 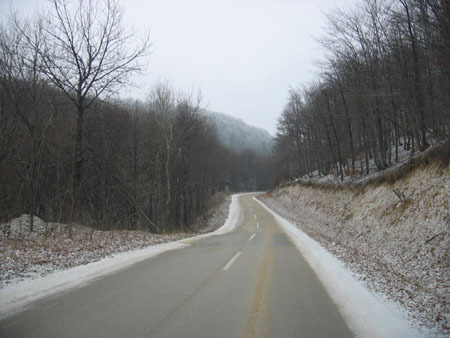 From Bor we took a very nice road which leads to Pozarevac. Most of the time you drive on hill tops. In summertime this definately should be worth trying again. 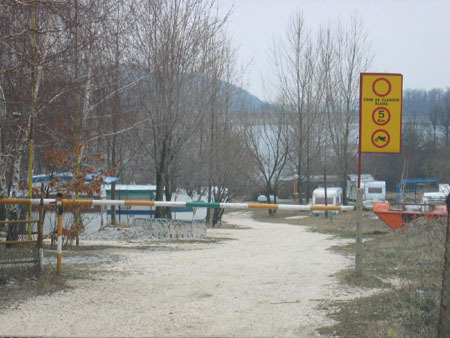 And we discovered the first camping in Serbia. I guess there are more but be prepared for a long search. 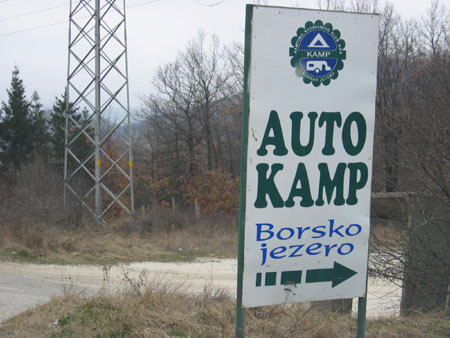 Even Serbian people told me they thought there were no campings the way we know them. But this is the prove that at least one excist (more or less). Of course they do have something else, for example you can rent small holiday homes. It's primitive but cheap and it saves you driving around with a lot of luggage, caravan or tent.